Some people love baseball. Some hate it. Perhaps you think the game moves at the perfect pace. Maybe you're open to doing whatever it takes to speed things up. However, there's on thing that's universally agreed upon as entertaining: The Washington Nationals Presidents Race. Every home game, in the fourth inning, our ​​Founding Fathers line up​ for a race around the warning track. And the crowd goes wild. Now, you're probably thinking, "but aren't those guys all dead? How can they race?" Well, there's a little secret. These aren't actually the presidents racing. Just people dressed as them. Today, however, the Nats need help. They're looking for new candidates to run the race. And if you're interested, they're holding auditions on Saturday. 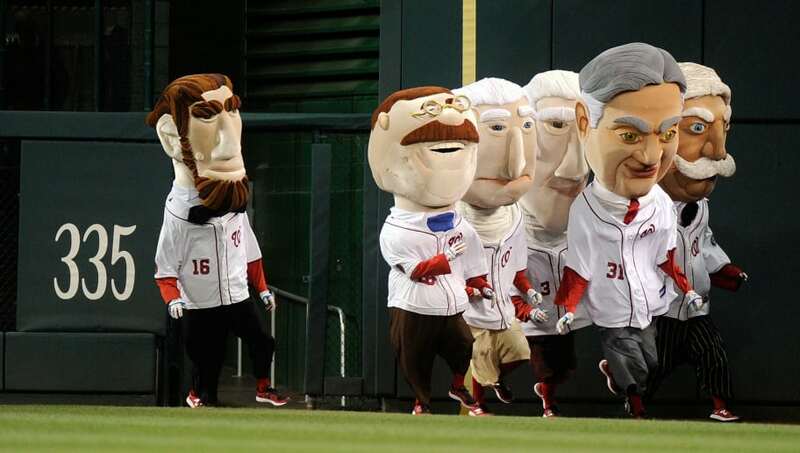 Big news: #Nats are holding auditions to be this year's racing presidents on Sunday. ​​If you have two working legs and live in DMV country, lace up your sneakers, because this is a job opportunity you do not want to miss. Not only do you get to appear in front of an audience of thousands, but you can put "ran in a U.S. presidential race" on your resume. Not many people can say that. Overall, this is a fantastic opportunity for youthful runners to uphold one of the best traditions in the MLB. Hopefully they get some fast presidents next year. You can teach political knowledge, but you can't teach speed. P.S. President's Race over Pittsburgh's "​Great Pierogi Race" any day of the week.